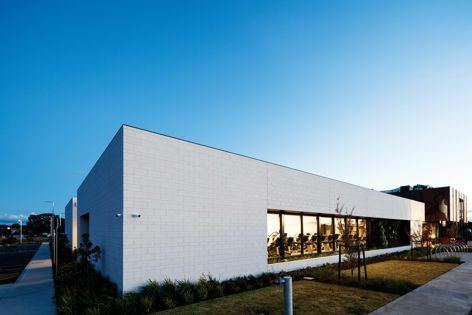 Austral Masonry’s GB Masonry collection was used at Club Armstrong in Victoria, designed by Hayball. Halfway between Torquay and Geelong in Victoria, Club Armstrong provides a place for recreation and social interaction in a new community. Designed by Hayball, the two-level pavilion features Austral Masonry’s GB Masonry collection, which contributes to a simple but striking materials palette.